This is the same lifting strap that comes with the abba Sky Lift when new. If you have lost or damaged your original strap, this is the part you need. 650kg breaking strain when new. Made with Polyester lashing to avoid any marks on swing arm. Cam lock buckle design for smooth use when lifting and lowering bike. 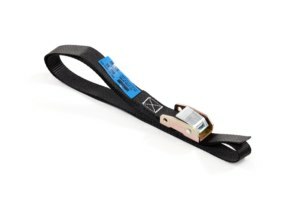 Got a Question about the abba Sky Lift Strap? If you would like to ask us a question about the abba Sky Lift Strap, simply fill in the form below and we will contact you within two working days. Want to tell a friend about the abba Sky Lift Strap? Alternatively fill in the form below and we will send an email on your behalf to your friend, with a link to this page all about the abba Sky Lift Strap.